Home » Blog » Timeshare cancellation companies. Another scam? Would you trust a company who´s ad you saw on the internet to pay them thousands of dollars upfront to cancel your timeshare? How can you be sure this companies will not scam you for more money? What make this companies different from rental and resale timeshare agencies? Learn more about this new for of timeshare fraud. At Mexican Timeshare Solutions, we believe our role is to inform consumers about potential timeshare scams, in order to prevent financial and emotional distress, and assist people who have already been scammed to cancel their fraudulent timeshare contracts. We pride ourselves on our honest work in this industry which is riddled with timeshare scams, and as a guarantee we do not charge clients any money until we have successfully cancelled the client’s timeshare contract. 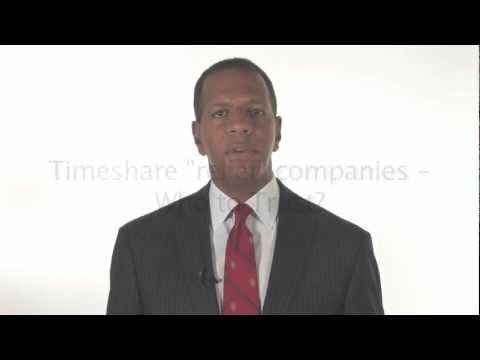 Many new timeshare cancellations companies have appeared online recently claiming to assist clients who have become victims of timeshare scam to cancel their timeshare contracts and recover their money from timeshare fraud. We have done some research on these timeshare cancellation firms to determine whether or not they are more of the same in this fraudulent industry. These new timeshare cancellation companies claim that they can help to provide timeshare relief, cancel or divorce you from your timeshare or even donate the timeshare to a worthy cause. Many of the timeshare cancellation companies have very vague statements about how their fees are charged. Some claim to have a money back guarantee, which implies that an upfront fee is required. As we have seen in the timeshare industry, there are many timeshare scams for rentals and resale companies that charge upfront fees and later go out of business. We encourage consumers to be very careful and questioning when contracting timeshare fraud assistance, and as a cardinal rule, never pay upfront fees for services to rent, sell or cancel your timeshare. Another concerning factor is the misleading information about the memberships that the timeshare cancellations companies claim to have with large associations such as the Better Business Bureau (BBB) and the American Resort Development Association (ARDA). When you are hiring timeshare cancellation services, it is important to have honest representation so that you don’t become a victim of timeshare scam for the second time. Some of the firms make claims that they are an accredited member of the BBB; however, they are not listed on their website. Regardless of whether or not the company is a timeshare scam,it is an unethical business practice to make false claims to be a member of an accredited association. If you are thinking about hiring one of these companies, check with the associations that they list on their website to ensure that they are valid claims and not just another timeshare scam. We have also checked into the age of the domains for these websites as many of them seemed to appear online at the same time. Most of the new timeshare cancellation companies claim to have years of experience in the industry; however, they have just started these online businesses in recent months, or in some cases a couple of years. Although the length of time they have been in business does not necessarily determine their success, we hope that clients are not being mislead to believe that a business has more experience than they do in reality. Link to Give Back Timeshare and domain was purchased on the same date. Claim to rid you of your timeshare in 30 days or less if all your timeshare, maintenance fees, taxes, and special assessments have been paid in full. Claim to charge a flat fee of your 2010 maintenance fee + $949. Claim to have many years of experience. Claim to be a BBB accredited business. Upon clicking on the BBB link on their webpage, it leads to a page saying that their BBB accreditation has lapsed. -Length of time business has been operating. -Failure to respond to 8 complaints filed against business. -This company is not physically located in Delaware. Their address at 16192 Coastal Highway is a mail forwarding location. Website has the same look and feel to the previous The Owner’s Advocate site, who are now rated F with the BBB. Our intention in writing this article is not to deter clients from using these timeshare cancellation services, we just want to ensure that clients do not become victims of timeshare scam another time. When hiring representation to resolve your timeshare scam situation, make sure that you do your research and ensure that the company’s claims, whatever they may be, are valid and truthful. On my own opinion , The big problem with all the mexican timeshares is that at first they offer something that they cant bring, all those sales people are experts to convice you , offering some meal or breakfast for free , i can say that a timeshare is NOT a good option , could be the worst investment you can ever do. Should be a warranty, but you need to do a deep research fisrt before purchase a timeshare , they timeshare scammers gonna find a way to steal and leave you out, so it is so difficult to get out and cancel a timeshare,so pls be carefull. We were tuck into buying time share @ the Sunset Group for a resale price and was told there no cancellation period since it is a resale. Acquired it on the 22nd of January 2015 and were back in the US on the 26th. We'd like to get out of it. We were told about so good to be true renting it and easy resale to them. We need your help desperately. Please contact us adapt. Thank you very much. I know i was scammed, i need to get rid of it as soon as possible, please! can you help me? Royal Elite has the worst customer service ever known.. a timeshare membership shouldn’t being sold for the purpose of renting it out for a profit. it is not an investment. you should be able to do a research about the company before signing, if you are not allow to take a couple days to consider a purchase as big as a timeshare membership, you shouldn’t purchase it at all. This is another forum with more complaints made to Royal Elite timeshare sales tactics. People should learn from their experiences from a timeshare company without any brand name. Normally, this company has no reputation in that field. Therefore, always come with the timeshare company that has an unparallel service and no lottery draw scheme. I had an experienced with 1 timeshare with a brand name and it was so interesting and at the end of the day even i did not join in the membership, they still fulfilled their promise as a reward for attending. They awarded me a voucher without any pressure. Timeshare is not an easy thing to enter. It also makes noise when it comes to legality. There are people who are dissatisfied with these. To those who are in timeshare but don't want to have it now, cancel it now as early as you can. There are companies that offers timeshare cancelling.